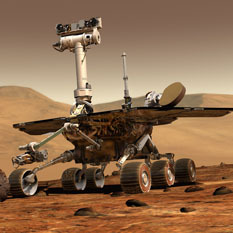 With the Martian winter on the run, Opportunity cruised closer to its 14th anniversary of exploring the Red Planet in December as she deliberated a distinctive “fork in the road” deep in Perseverance Valley and wrapped another record year. 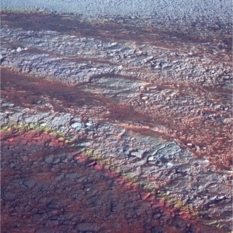 Opportunity continued the historic winter science campaign inside Perseverance Valley and delivered the goods that confirmed an important discovery in November, and then cruised through winter solstice, driving the mission closer to its 14th anniversary of surface operations coming up in January. As brutally cold got even colder at Endeavour Crater in October, the depths of winter gripped Opportunity, and ‘life’ on Mars slowed. But the robot field geologist continued to work on through the doldrums of the season. 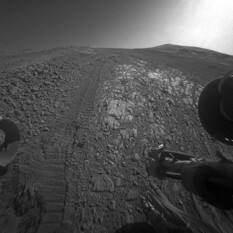 The Martian winter began to grip Endeavour Crater in September, slowing Opportunity's pace. But she braved the brutal cold in Perseverance Valley and followed her commands to visually document everything in sight. 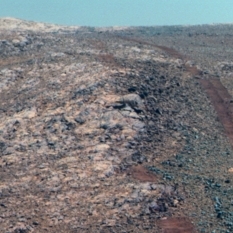 Opportunity is continuing its drive down Perseverance Valley, a possible channel that was cut in the inner wall of the 22 km-diameter Endeavour impact crater on ancient Mars. 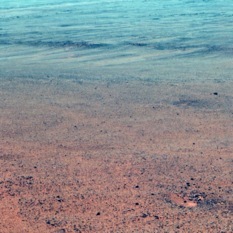 Along the western rim of Endeavour Crater, Opportunity forged onward in August vicariously taking the Mars Exploration Rovers team – along with a global contingent of mission observers all around Earth – downhill into Perseverance Valley and deeper into a new chapter in this legendary expedition of the Red Planet. After struggling to get her left front wheel unstuck in June, Opportunity quickly adapted to a new driving strategy and unabashedly cruised into Perseverance Valley in July. 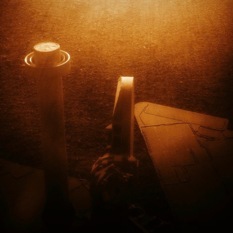 With the latest drive on sol 4782, Opportunity began the long drive down the floor of Perseverance Valley here on Endeavour Crater. 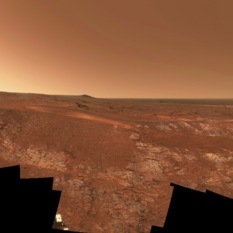 The autumn skies over Endeavour Crater remained hazy as dust from the summer storms continued to rain down, but Opportunity encountered some unexpected and serious June gloom when her right front steering wheel jammed during the walkabout atop Perseverance Valley. 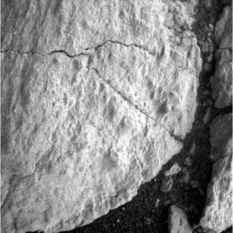 Opportunity is doing a geologic walkabout at the entrance to Perseverance Valley, an ancient and potentially water-carved feature.